No matter you run a small office with just handful of staff, or a large office with a big building to go with, either way, it is essential that the overall condition of your office is clean and tidy because it plays a vital role in creating positive impact on potential clients and staff members alike. Cleaning is one of the best ways to bring peace in your work place. Moreover, dust and pollution free environment ensure that your employees will stay healthy and will perform much better. Understandable, it is quite a difficult task to clean the entire office single-handed. In such a scenario, always try hiring the professional office cleaners who will meet your demands to the perfection and also help in keeping the ambiance of the work place intact. Below is the list of top benefits on why you should hire a well-qualified office cleaning services at regular basis. Most people judge a book by its cover, don't they? The same applies to any organization. If your office environment is messy or filthy, no employees will like to work in such condition. Since an individual spends about at least 8 to 10 hours a day in an office, they will definitely be worried about the quality of air they are inhaling. Thus, make sure that your clients and staffs are in the hygienic atmosphere in their working hours. Most clients wish to take a note of open workspace during meetings so that they can understand how the organization will show commitment, consistency, planning and business practices for them. If in case your office appears like a pile of misplaced information, the client may feel you will treat their information the same way. Thus, to be a successful entrepreneur in the industry it is vital to create a sense of security, reliability and friendliness within them when they enter your office. Apart from hiring the professional commercial cleaning services, you can also introduce cleaning days for employees. This step will teach them on how to clean certain areas of the building on consistent basis. But do not overdo it, as this can annoy the staff members. Cleaning once a month is fine. Indisputably, no employees desire to work in a cramped, dusty, dirty or grimy work place because it creates frustration and aggravated employees will leave your firm and will discuss the lack of cleanliness with others. This will create negative impression on others. There are chances that people will not even consider giving interviews in your company and you may lose out on potential staff members. Thus, checking the work areas personally, encouraging the employees to take care of their workspace and hiring a professional commercial cleaner is of utmost important. A professional commercial cleaning service deems no job too big or small. They will happily manage the work and provide great results on given time. Their service includes cleaning the entire building daily, alternating days, weekly, alternating weeks, and even on a monthly basis. You can select the option as per your preferences and convenience. Please contact us about your cleaning requirements or any other questions you may have. We would be happy to come to your facility and perform a "no obligation" review of your space. Call Pacific West Today at 604-512-2943 and get the cleaning your office deserves. 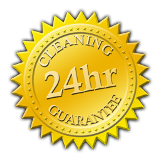 with each cleaning you receive from us. assess in your facifity is an important decison. Is Your Present Level of Cleaning Disappointing? Camada Inc. ---- All Rights Reserved © "Pacific-West-Cleaners" is a registered trademark of "Pacific-West-Cleaners"